Thanks for checking out our website. I started The Broker Sinclair Team in Coeur d’ Alene several years ago. My main focus is on marketing listings and getting them sold for the most amount of money in the least amount of time. 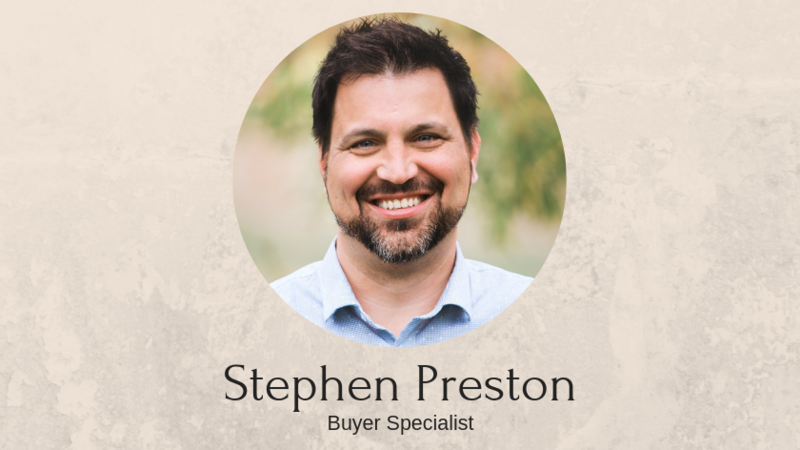 Stephen Preston leads our buyer side and does an outstanding job digging deep to figure out what buyers really want in their dream home. Working with Stephen is a treat, buyers really love the way he digs deep into their needs to figure out what is most important to them in a home. If you follow my blog or Facebook posts you’ll quickly learn that I’m an open book. I say what I think and keep it honest. If the market is repressed, I’ll be the first to tell you. If I find a real deal then you’ll see it in my passion for what I am selling. Born in rural West Tennessee, I’ve been a Realtor since 1998. I fell in love with real estate while watching a real estate infomercial when I was 16. I saved all the money I could and bought my first rental house when I was 18. A good friend showed me how I could make a living helping other people buy and sell what I was passionate about. That seemed like a no-brainer. Today I continue sharing my passion with others and earning a living along the way. My wife and I moved to Coeur d’Alene in 2005. I went from not knowing anyone in town to the top selling agent in a company with 150 agents in 3 years. Sometimes when you have a passion for something like I do, you just can’t help but share it! I really do love my job. We love raising our family in Coeur d’Alene. This place truly is a wonderland for families. The majestic mountains disappear into the crystal clear waters of Lake Coeur d’Alene and Hayden Lake. My favorite two days to be in Coeur d’Alene are without a doubt the 4th of July and the Friday after Thanksgiving. On both of those days the night sky lights up with fireworks over Lake Coeur d’ Alene. In the winter we ski at Schweitzer Mountain or Lookout Pass. Both are an hour’s drive from my front door! On hot summer days we hang out at the beach or Silverwood Theme-park. Both in my backyard! If you like what you’ve learned “About Me” and you’d like to know more then let’s stay connected. You can become a Facebook fan, follow me on Twitter, or pick up the phone and hit me up. 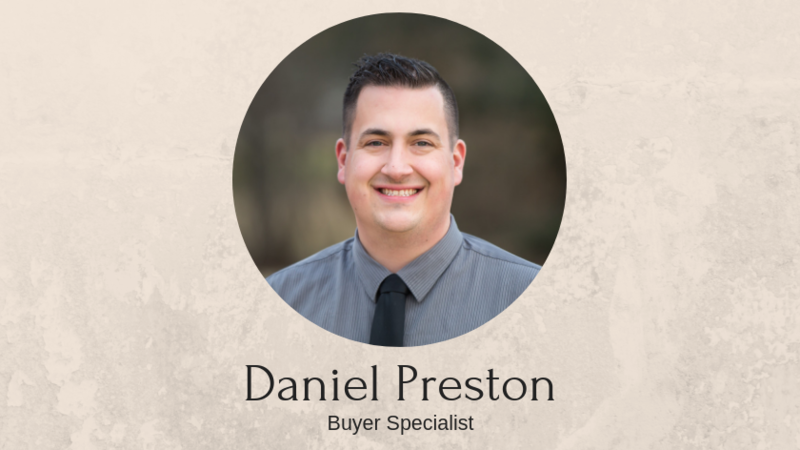 As a professional buyer’s agent and dedicated family man, it is my goal to help every client I work with realize their dream of selecting and purchasing their next (or first) home. I know how important finding the right home is, and how stressful it can be if you don’t have the right team around you. That’s why my team is dedicated to open and honest communication with our clients, and strives to make the home buying process as rewarding and stress-free as possible. We believe that we have the tools and experience to help make even the most challenging situations successful for our clients! I commit to treating every person I work with as supremely valuable, regardless of the size of purchase they are intending to make. My goal is to help people reach their real estate goals and achieve their dreams, whatever those may be. So, whether you are planning on buying, selling, or investing, I want to be your resource and ally, and show you how rewarding building your future can be when you own real estate! After being in retail management for over 15 years I wanted more from my career. I enjoyed helping the customers I served on a daily basis, but that relationship was only so deep. I enjoyed helping and promoting our associates from within and doing my part to make their personal and career lives more fulfilling. My passion is helping others and making their days feel more fulfilled and complete. So, I needed a change. The opportunity arose to join The Broker Sinclair Team as a dedicated buyer’s agent. This allows me to focus on my client’s specific needs and use my energy on what matters the most to them. 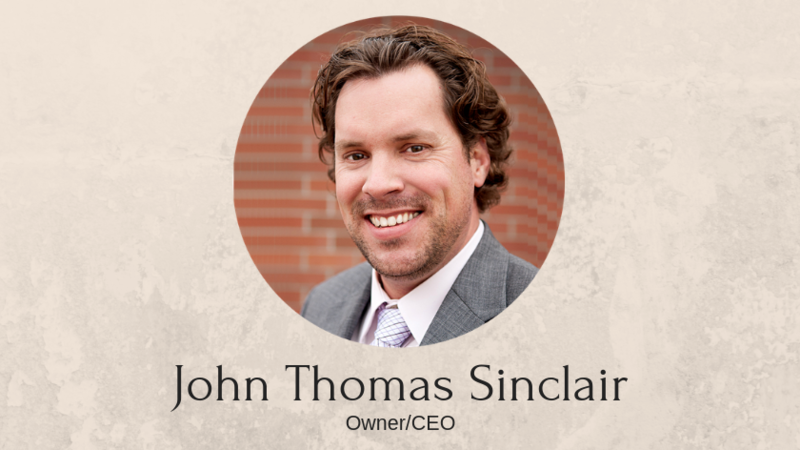 John Thomas not only runs the most successful team at Keller Williams CDA but also has the skills and patience needed to help his clients receive top dollar for their listed homes. This allows me to focus on finding the perfect new home for the client sine I am not tied down working on listing side. My wife and I were both raised in North Idaho and can’t imagine living anywhere else. People from all over come here to vacation and retire and we live here. Every day we are in awe of how beautiful it is. We are raising three young children and love to take them all around our town. Whether we are hiking, biking, camping or swimming we are always outside. Through my wife’s support, I am motivated to help each client with their real estate needs and find that perfect property.